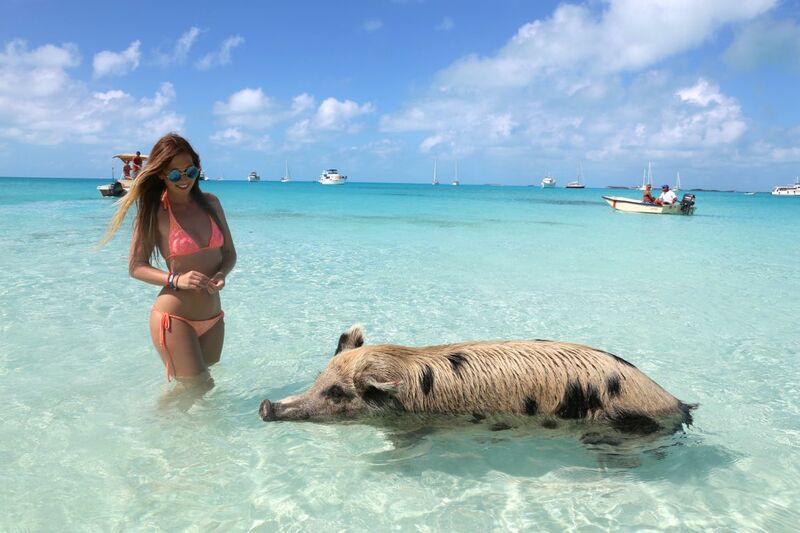 Swimming with the pigs in Exuma Bahamas is another one for you bucket list and was on mine too for a while before we finally realized this dream some weeks ago. 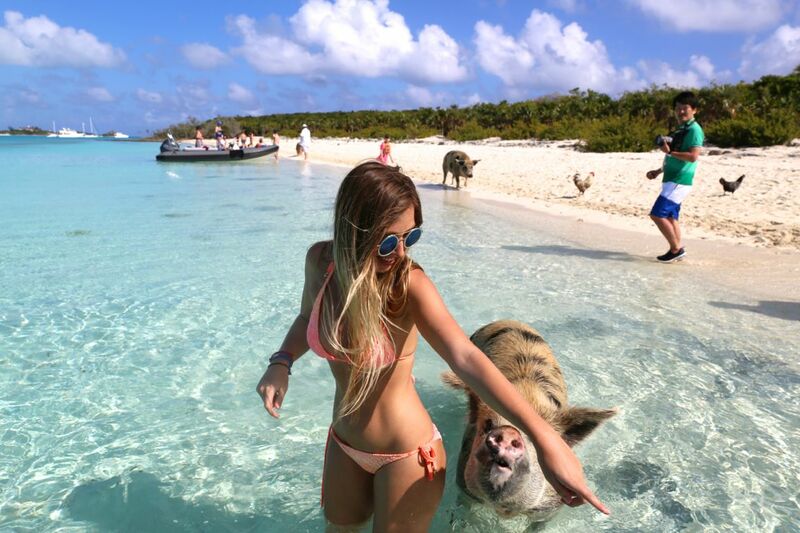 The first question when planning your trip there is obviously how to get there as the original pig island called major cay is just a beach zip located on a tiny island in the Exumas. 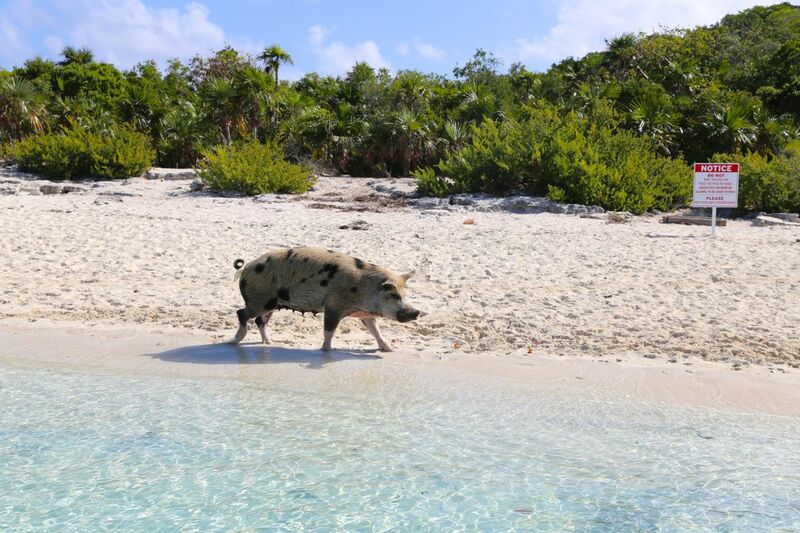 When I say “ original “ island I mean the famous island where the pigs live wild and free on a tiny beach. 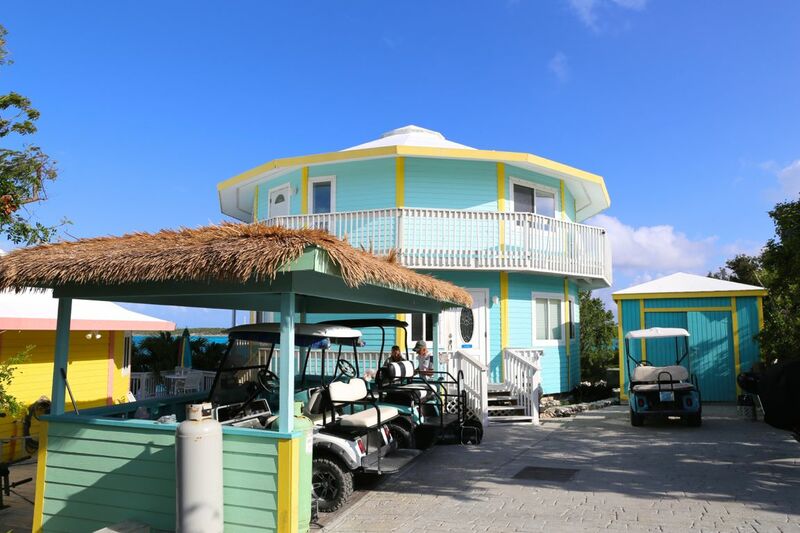 Nowadays some hotels and tour operators in the Bahamas offer trips to other closer islands but be aware that the original big mayor cay is located just of staniel cay. There are several theories existing how the pigs ended up on this island the main one being told saying that they were brought there to be killed but the sailor was killed before returning. The locals on the islands told us the real story is the simple as the pigs smelling to much so they wanted to live them secluded on its own island. 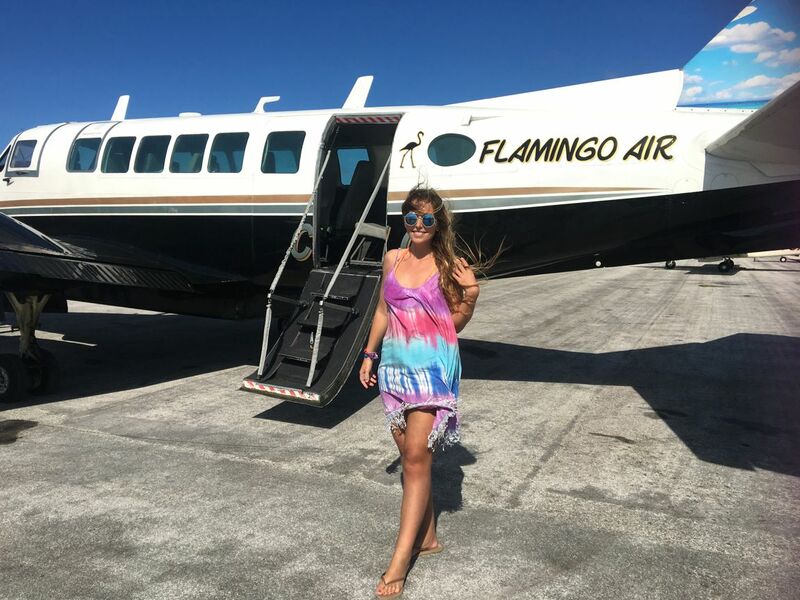 As we stayed in Nassau we flew with flamingo air directly to Staniel cay in the morning and back in the afternoon which was perfect. The flight is just 25 minutes and they offer special day fares like the one we had flying at 8 in the morning returning at 3 in the afternoon for around 170 dollar round trip per person. You fly in a very small cessna 402 plane that has only a few seats so you might want to prebook early online as they can get booked quickly. From Staniel cay Coral from Stanielrentals picked us up and we took a private boat with her to all the different cays. Coral lives on the island with her family in a beautiful house by the beach and I can not recommend booking a private tour with her highly enough. You have the boat all for yourself and can stop where you like and she knows all about the islands and will take you to all cays, the thunderball grotto and places you like to see and drops you back at the airport for your flight just in time. You find her details and contact here. 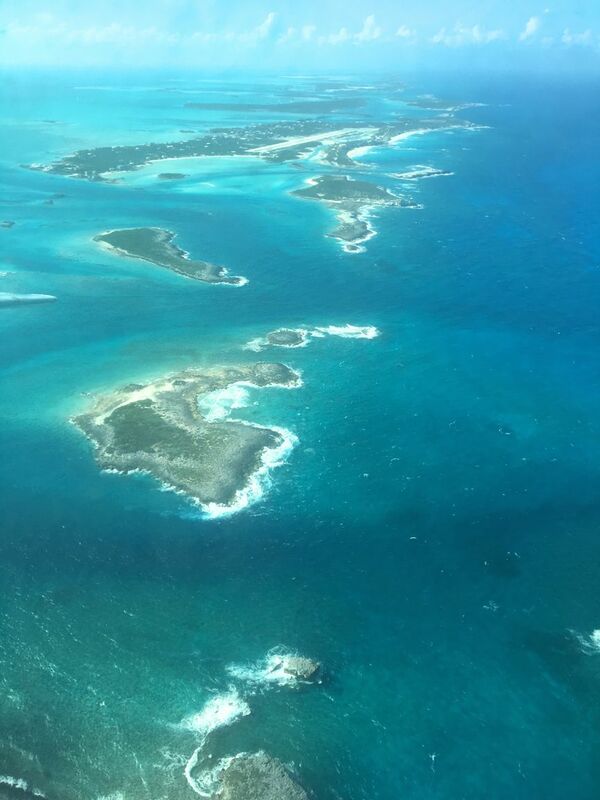 Another option to get to Staniel cay is flying with watermarkers air from Fort Lauderdale in case you are in the Miami area. 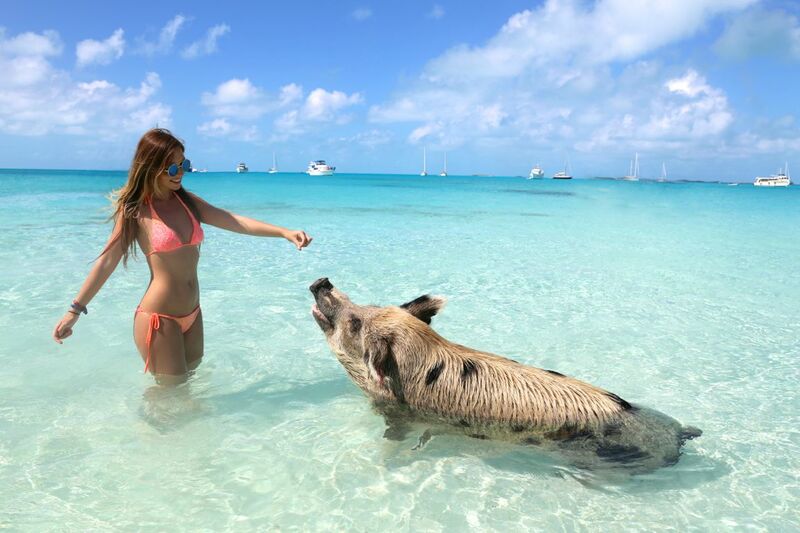 If you have more time you can also fly to Exuma and spend some days there and take a tour by an operator from there. 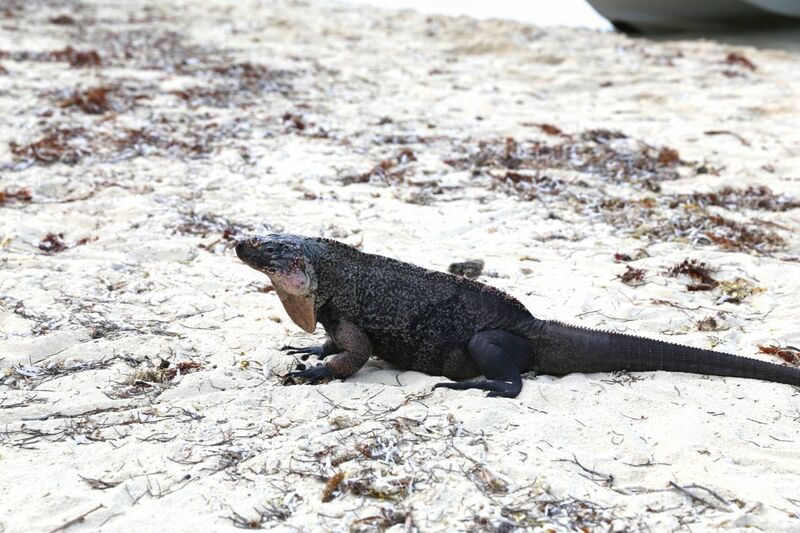 There is also an option of going by boat from Nassau with harborsafaris for 380 dollar per person. We had considered that option in the beginning but it takes 3 hours each way to get there by boat and gets cancelled often due to wind so I am happy we flew to Staniel cay directly as this will also give you a lot more time there. 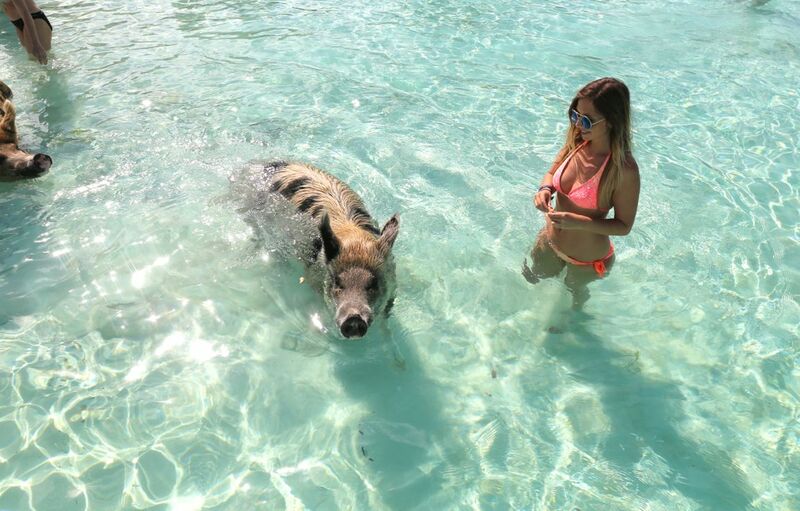 Oh you can’t believe your eyes when the boat gets closer to the island surrounded by crystal clear turquoise water and you see all the pigs running around and cooling down in the water. 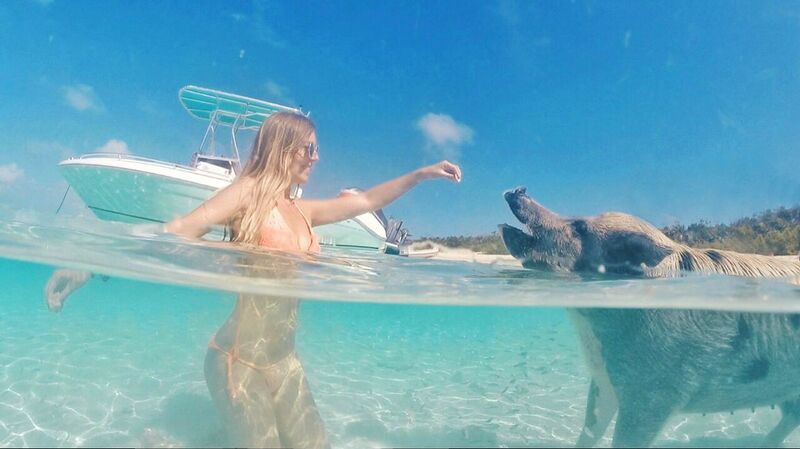 As soon as you step in the water they surround you and play with you. If you bring food make sure it’s something like bread as some people have been feeding them marshmallows and other things they can’t digest well. We also stopped at the most beautiful sandbank of the bahamas that looked like out of a movie scene just before catching the flight back to Nassau where we spent another couple of days. 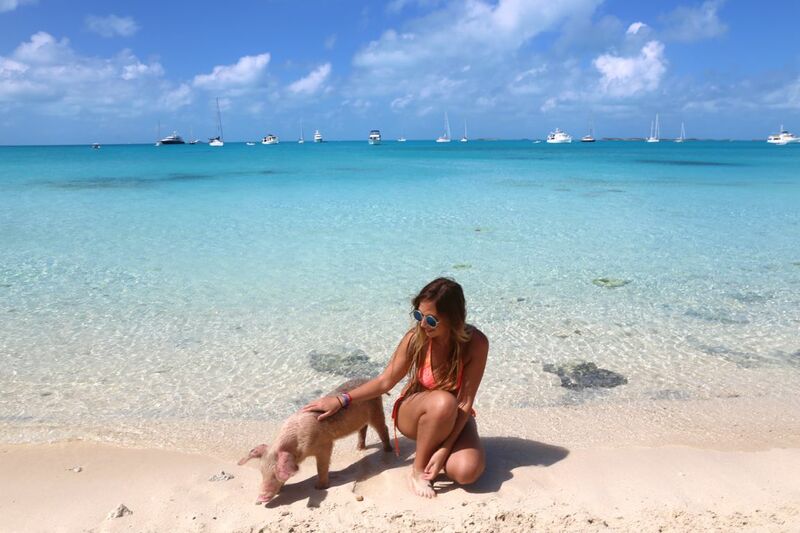 It was a beautiful day in the breathtaking exuma islands. 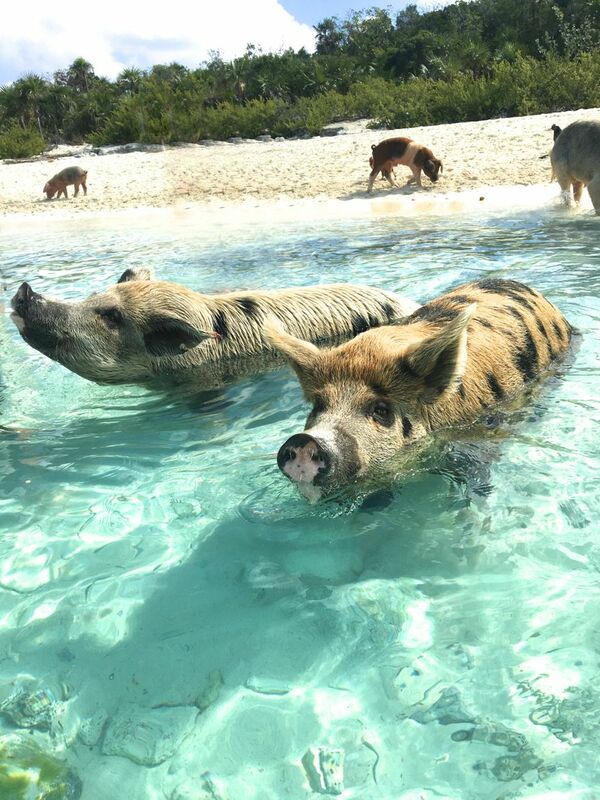 Have you been to the swimming pigs yet or is it on your bucket list also ?